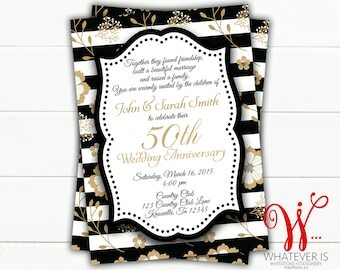 Celebrate such a special occasion with this Personalized Black and Gold 50th Wedding Anniversary Invitation. Invitations were absolutely beautiful! 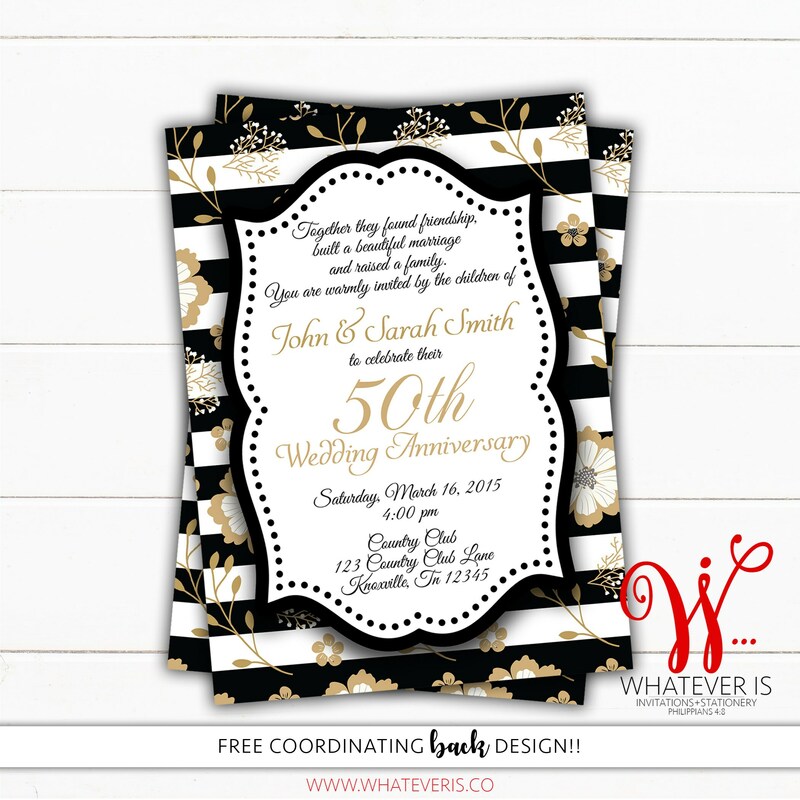 Amanda was fantastic to work with, she added a RSVP, changed fonts multiple times and responded quickly with each new sample. 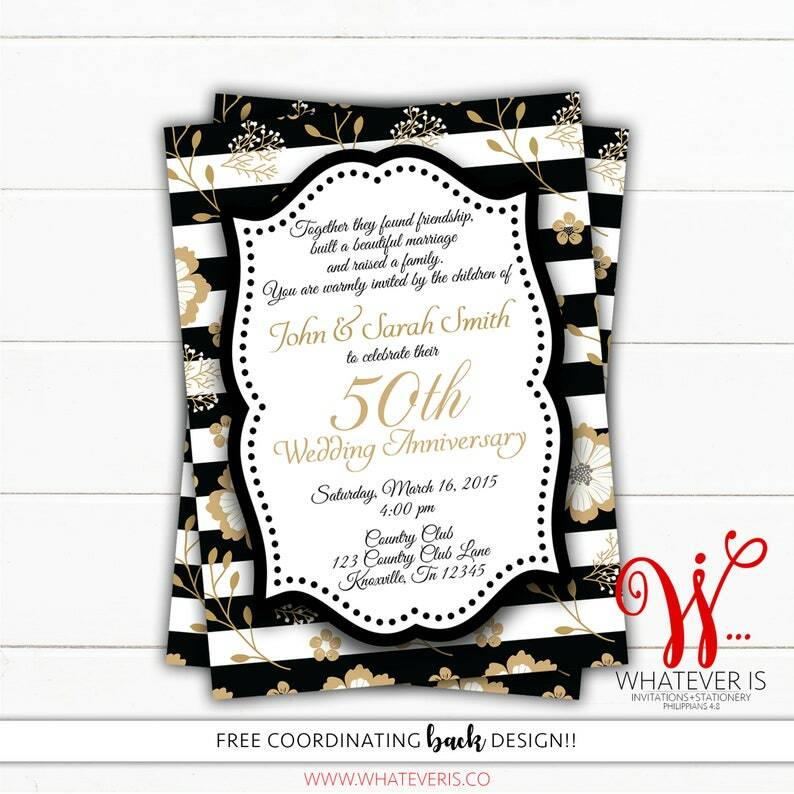 These invites were for my parents 50th anniversary party and she made sure everything was exactly as I wanted it before going to print! Amanda also had my return address printed on the envelopes; the font matched the invitations exactly! All items were covered in clear shrink wrap which kept them neat and clean during shipping!! Overall, ordering from Amanda was a great experience! The artist did an awesome job and was so easy to work with. I will definitely be coming back for any other invitations needed.